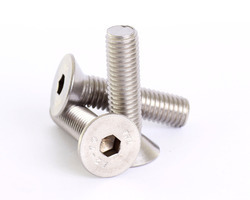 Leading Wholesaler of high tensile nut, hexagonal bolt, eye bolts, mushroom head square neck bolt, allen bolt and mild steel hex bolt from Mumbai. 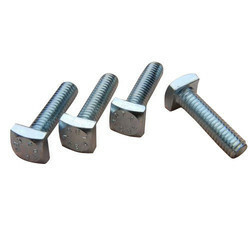 Our clients are provided with best High Tensile Bolts in bulk amount. We try to meet the specific requirements of our clients and source only the best and sustainable products. They are easy to install, long sustainable, perfect in fitting and are highly stainless. Our vendors apply superior metals to make them advanced and durable. 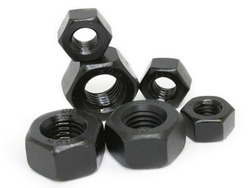 We ensure advanced range of nuts at nominal price range. 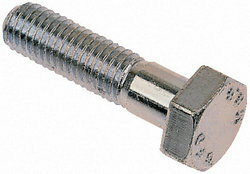 We are manufacturer of Hexagonal Bolts. To manufacture the offered range, our engineers use excellent quality material. The material used in the manufacturing process is sourced from most trusted vendors of market. These are renowned for their dimensional accuracy and high tensile strength. Maxell Steel & Alloys, mumbai, india can provide cold forged hot forged alloy, metal and high strength bolts with complete material compliance. 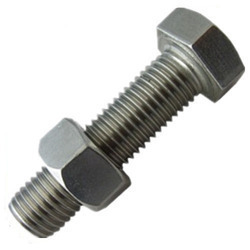 We offer a comprehensive range of Mushroom Head Square Neck Bolts which is widely used in both marine and shipping industry and many other industries. 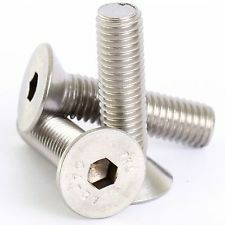 These bolts are well to give smooth and shiny surface. Our range is manufactured using superior quality materials to ensure its durability. We are capable of customizing these on the parameters of various grades, shapes, sizes and thickness. 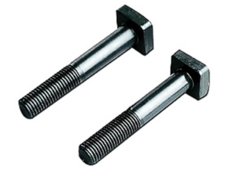 Head Type Round, Square, Hex, ETC..
Our organization is among the well-known names in the industry for providing an extensive series of Allen Bolt. This product is highly well-liked in the market due to their longer operational life. This product is made employing the advanced technique and top component which is bought from reliable sellers of market. Experts make this product by following worldwide industry standards. We offer a comprehensive range of Mild Steel Hex Bolt that are used in diverse sectors of sugar industries, fertilizer plants, oil refineries and more. Our precision engineered Metal Hex Bolt are performance oriented and can be customized as per the requirement of various industrial applications. 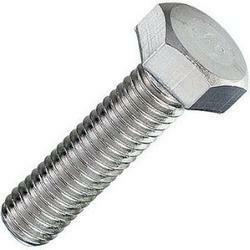 We are offering wide range of High Tensile Bolts. These are Products customized for steel Bridges, Metro Rail, Power plants and various other infrastructural projects. It has enabled us in achieving the complete satisfaction of valued clients and become their first choice. Made from finest raw material and under supervision of skilled labor they are high performance and have high strength. Rates are subject to change as per Daily market situation. Rates given above are an approximate market rates and will be valid only after formal discussion and 100% payment in advance. Nickel Alloy Standard : ASTM / ASME SB 160 / 164 / 425 / 166 / 446 / 574 / 472 Grade : UNS 2200 (Nickel 200) / UNS 2201 (Nickle 201), UNS 4400 (Monel 400), UNS 8825 (Inconel 825), UNS 6600 (Inconel 600) / UNS 6601 (Inconel 601), UNS 6625 (Inconel 625), UNS 10276 (Hastealloy C 276), UNS 8020 (Alloy 20 / 20 CB 3) Stainless Steel Standard : ASTM / ASME A/SA 193 / 194 Grade : B 8 (304), B 8C (SS 347), B 8M (SS 316), B 8 T (SS 321), A 2, A 4 Alloy Steel Standard : ASTM / ASME A/SA 193 / 194 GR. 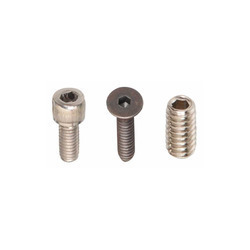 The policy made by the company makes us engaged in offering a quality assured range of Anchor Bolts that are widely used as an expansion fastener to hold the ceiling. Our offered bolts are widely appreciated by our prestigious clients for their precise design and durability. 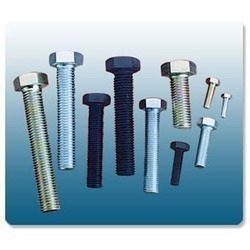 Provided bolts can also be availed in various sizes, designs and other related specifications. 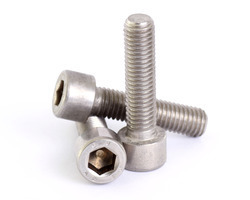 The entire range of bolts is manufactured by a team of our vendors adept professionals utilizing quality approved raw-material and advanced technology. 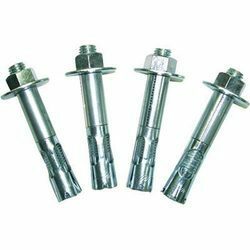 We are engaged in offering a comprehensive range of Anchor Bolts, which can be customized as per the specification provided by our clients. 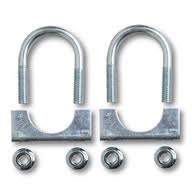 Available in various grades, these are widely used as an expansion fastener to hold the ceiling. Apart from that, these products are also recommended for gypsum board and calcium silicate. Our range of product comes in various shapes, sizes & dimensions and is reckoned for its cutting edge features such as dimensional accuracy, longer service life and excellent performance. We are one of the leading manufacturers of Allen Key Bolts in India. Our passion for innovation has helped us in designing drilling machines that not only guarantee quality but also ease of operation. 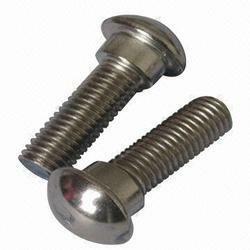 We are manufacturer & exporter of a variety of bolts in India. We are the leading and prominent Manufacturer, Exporter, Supplier, and Trader of Cold Forged Hex Bolts.